Etihad Rail, the developer and operator of the UAE's national rail network has signed an agreement with Abu Dhabi Vocational Education & Training Institute (Adveti) for occupational training and shared learning for students. The Memorandum of Understanding (MoU) was co-signed with Etihad Rail DB, the operations and maintenance joint-venture for Stage One of the UAE’s national railway network. The MoU was signed by Saif Al Mazrouei, chief executive officer of Etihad Rail, Shadi Malak, Acting chief executive officer of Etihad Rail DB, and Dr Abdul Rahman Jassim Hammadi, Adveti managing director. 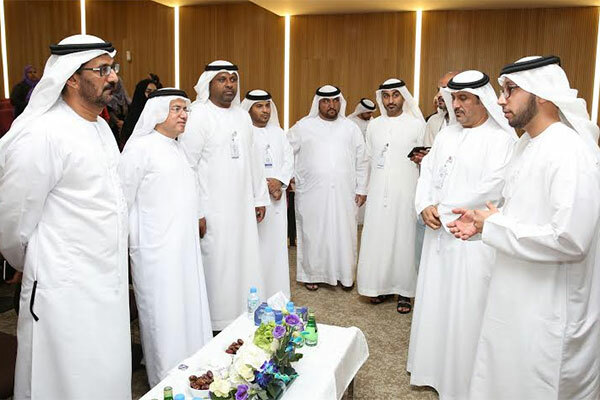 “This agreement is of great significance, as it catalyses specialized training opportunities and vocational education for Emiratis in line with the goals of UAE’s Emiratisation policy” said Al Mazrouei. “We look forward to a longstanding strategic partnership between our three entities, which will witness the academic development and professional training of our nationals for opportunities in the fast-evolving railway industry. “Etihad Rail is a driving force behind efforts that contribute to the UAE’s railway transportation sector, with ongoing combined efforts coupled with enhancing the industry’s human capital at the cornerstone of the nation’s workforce and future socio-economic growth,” he added. “The Etihad Rail DB vision brought together a team that best combines local talent and knowledge with the international best practice and expertise from Europe’s largest railway operator, and the success of this vision has been demonstrated through our management of Stage One operations and maintenance thus far,” said Malak. “With that said, the critical role of UAE Nationals in driving the growth and prosperity of the rail industry from one generation to another is undeniable. Etihad Rail DB is proud to lead this evolution, and our team looks forward to cultivating the skills of the first generation of Emirati rail professionals,” he added. The Etihad Rail project is being delivered in three key stages of development, with the rail network spanning approximately 1,200 kilometres across the UAE once complete. Designed to provide both freight and passenger services, the network will connect urban and peripheral communities.